When mold invades your home, it is more than just a petty annoyance and a pungent odor. Its habitation — on your walls and ceilings, in your pipes, on your carpet, or in your bathtub — can cause a whole host of issues, ranging from minor property damage to severe health problems. Growing on anything from carpets, wood, insulation, paper, drywall, metals, and food, mold is a natural part of our environment, a class of fungi that reproduces by releasing spores in the air. All it needs is a little moisture for the spores to spread and grow, getting released into the air and inhaled deep into the lungs. How can you spot mold? Not all mold is created equal. Their colors range from pink and orange to green, brown, and black, and might appear as a mere stain without any observable texture. But whether visible or not, it emits an unusual “musty” odor. Try following the odor to where it smells the strongest. It might even be in an unreachable place, like inside your walls. Mold thrives in cool, damp places, so identify areas in your home, such as the bathroom, that are exposed to excess moisture. Some warning signs for mold that you can spot include condensation on your windows or dripping from your pipes, bubbles and cracks in your paint or wallpaper, and warped or bulging walls. Your health can also be a sign that there is mold in your home. Symptoms of a mold allergy include a runny nose, watery eyes, sneezing, headaches, dizziness, and sometimes even memory loss. These symptoms could be a sign of an approaching cold, but if you are only symptomatic inside your home, mold could be the root cause. How can you prevent or reduce mold buildup? Clean and dry any wet areas in your home, such as the ceiling above your shower. Purchase a humidity tracker; if levels are high, use a dehumidifier in your home. You can also run an exhaust fan when washing dishes or cooking. Regularly check the kitchen sink, bathroom sinks, refrigerator ice maker, utility and laundry rooms, and other sources of water for leakage. Empty your refrigerator drip pan. Increase air circulation by opening doors between rooms, using fans, and moving furniture away from corners of the room. Check pipes in the roof for leaks and repair any that are found as soon as you can. How should you deal with mold when you find it? The best way to handle it depends on the amount and type of mold you find. If it is just a small area growing on your bathroom ceiling, you can kill it yourself with household bleach. Mix the bleach with water and scrub the mold off your walls, carpet, or ceiling. Never mix chlorine bleach solution with any other cleaning solutions or detergents that contain ammonia because that may produce highly toxic vapors worse than the mold itself. If you find or suspect a larger area infested with mold, you are best off calling a professional to help you. Is mold covered by your homeowners insurance? Mold damage is covered by your homeowners policy if it was caused by a “covered peril.” A covered peril is a mishap or incident for which you are protected under your homeowners insurance, such as fire, theft, falling objects, lightning, or sudden and accidental water damage. In other words, your typical home insurance policy will not cover mold resulting from a preventable water leak, flooding, or high humidity. For example, if your seemingly fully functioning washer hose suddenly springs a leak behind your washing machine, and you report the damage immediately but not before mold begins to form, you are covered. If an ice dam forms in the gutter on your roof, it can cause water to back up under your shingles and leak into your attic. The water soaks your attic floor and insulation, creating mold. You’re covered. These are sudden, accidental incidents. However, if broken shingles on your 30-year-old roof allows water to permeate your attic, saturating the wood and insulation and leading to mold, you are not covered because it was a preventable loss. 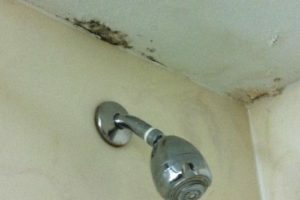 Likewise, if mold begins to form above your shower, but you don’t think much of it until you finally realize it is very unsightly and possibly a health concern, you are not covered. Also, the standard homeowners insurance policy does not cover water damage caused by a flood. Thus, if a flood causes water damage that leads to mold, the resulting mold issue would not be covered by your home policy. While insurance companies usually don’t cover mold damage unless directly related to a covered peril, there a sometimes exceptions. 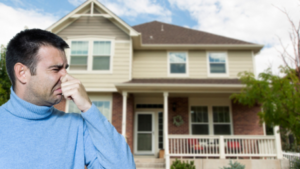 Check your homeowners policy to see if there is any mention of mold claims. Some insurers offer limited coverage for mold claims. You can also give us a call at 845-986-1177 to find out if your homeowners insurance policy covers damage from mold. We are your business, home, auto, and life insurance solutions provider, partner, and adviser, serving Warwick, Greenwood Lake, Florida, Pine Island, Goshen, Middletown, Chester, Monroe, Newburgh, Orange County, and the Hudson Valley and Tri-State Area. Does Your Homeowners Insurance Cover Flooding? Seely & Durland now offers you an enhanced client service experience through our brand new online service and mobile app, My SDI! This free service offers you secure access to your insurance information 24 hours a day, 7 days a week. My SDI is available on iPhone and Android devices! As an independent insurance agency, Seely & Durland Insurance represents your interests, not the interests of any one insurance company. Seely & Durland Insurance is a proud member of Trusted Choice as well an originating member in the DCS Risk Management Group.